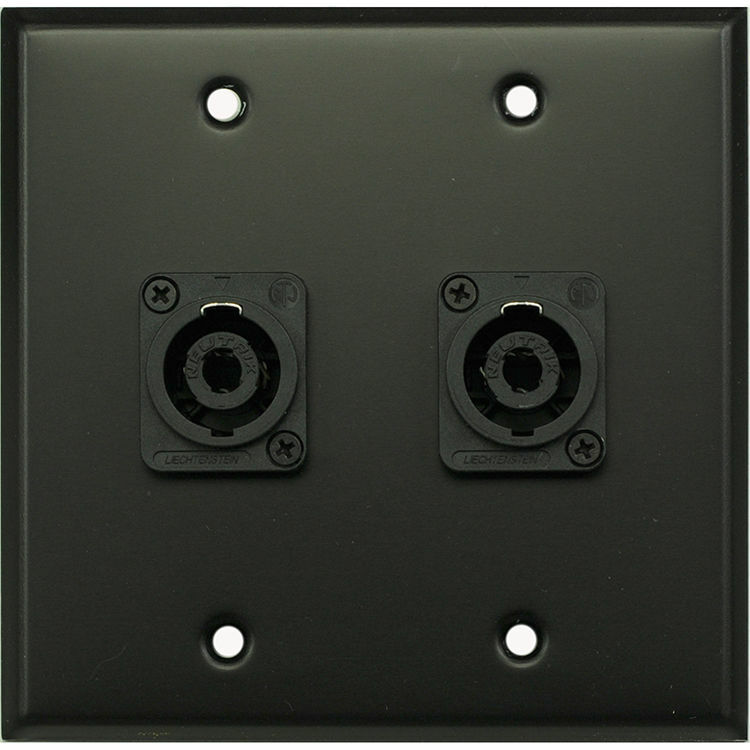 Finish your installation with a clean look with the black Whirlwind WP2B/2NL4 2-Gang Wall Plate. 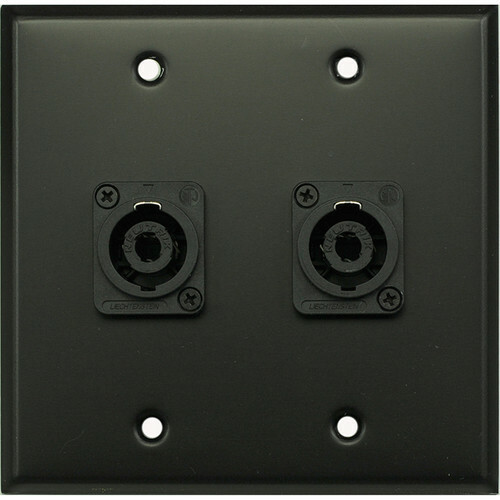 It features a two-gang design with two Neutrik NL4 Speakon terminals to pass your wiring through the wall, reducing the appearance of cable clutter. Box Dimensions (LxWxH) 4.8 x 3.3 x 1.6"